Resistance Pro continues to prove that it is more than just a wrestling company. They have a Positive Outreach Program (POP) where they touch the lives of today's youth. They have fundraisers at schools. They take part in many community events. 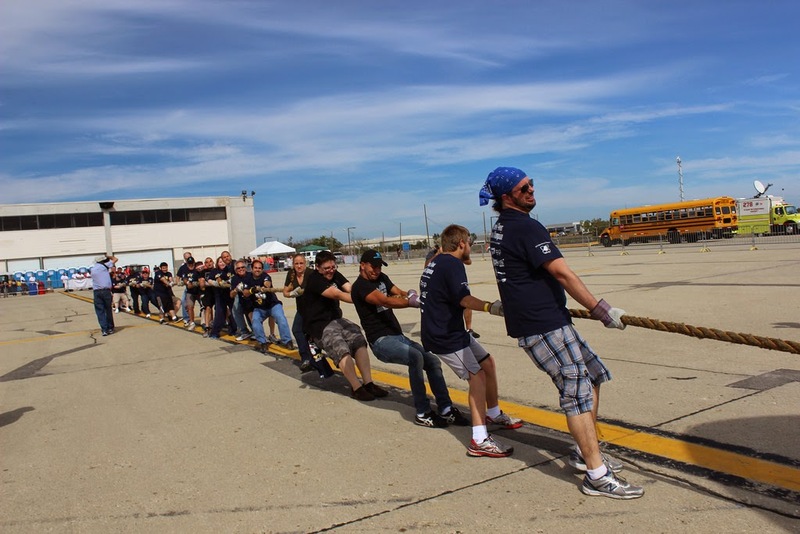 Last year, RPro joined a team of Special Olympians in the Plane Pull at O'Hare Airport. I was out of town and had to miss it. The team tried hard, but did not budge the plane. More importantly though, they raised money and awareness! When RPro announced their participation again this year, I jumped at the chance. I promised to cover it, but hoped to be part of the actual pull. I am proud to say that I was part of the 20 person team (half RPro and half Special Olympians). I am even prouder to say we moved that plan a good 12 feet or so. I love being a part of RPro. I don't really care what my role is. Just being a part of the special circle of friends is rewarding. This is the most charitable, giving, caring group you could ever meet. It isn't just the "workers" either. Co-owners Jacques and Gabe Baron are right there with everyone, as are their respective families. This is a group effort every single time. I am proud to be a part of it and I am very happy to help spread the word on RPro! RPro and the Special Olympians at O'Hare in Chicago, IL-September 2014. That is pretty cool to say you helped move a plane!! And even better, to say you helped a great cause!